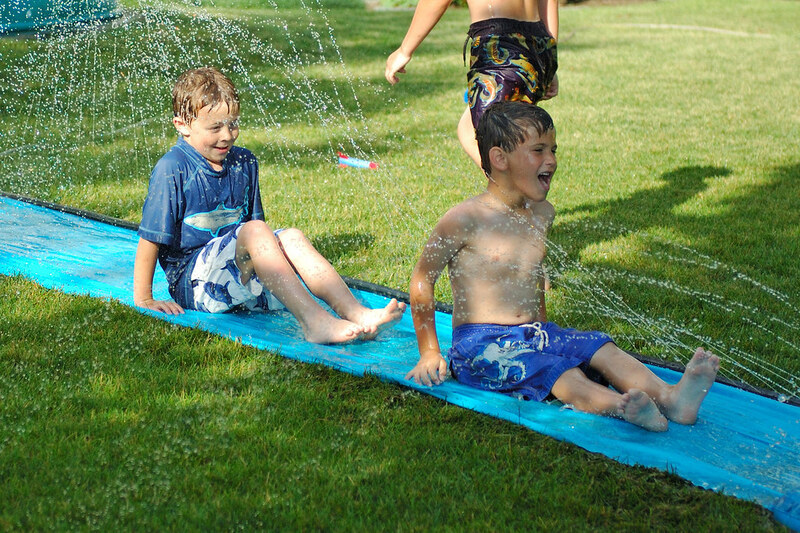 No better way to beat the heat than with the trusty slip-n-slide! Jill invited our kids along with 3 other families' kids over for water games, pizza and the movie Mall Cop. Tell me about it...the heat is killing me...our A/C broke today and it was over 90 degrees here in MN! Great captures! Great way to beat the heat! 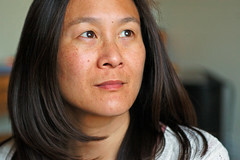 It's been a long time since I had THAT much fun in hot, hot weather! I like your shutter speed effect on the water! looks like fun. I loved the slip n slide. My girls aren't too into it. I LOVE that last picture! You captured a great shot! Oh how fun. I used to LOVE slip n slides! How fun, what a great way to spend a summer's day. I miss having kiddos around! FUN! I want to come over and play too! looks like a fun fun day! That looks like so much fun. What cute smiles you caught. 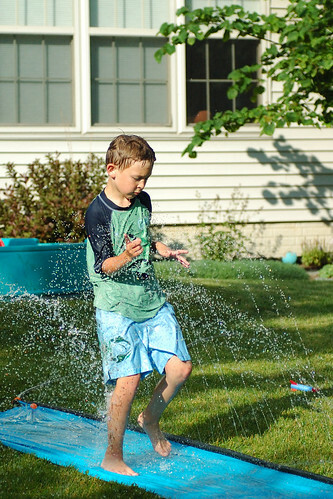 I need to get the kids a slip and slide, they are so fun! Fun! I haven's seen a slip n slide in so long. :) It looks like they had a great time.